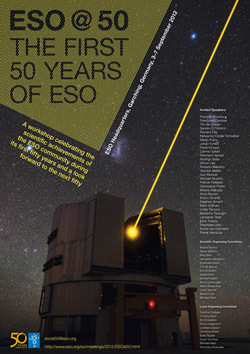 ESO will celebrate its 50th anniversary in 2012. 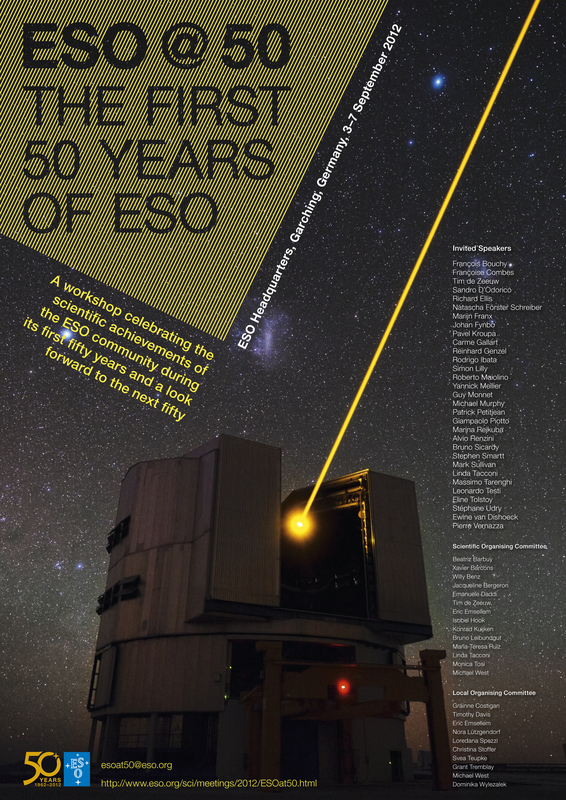 In recognition of this important milestone, a special science workshop will be held at ESO Headquarters. The ESO@50 workshop is intended to provide an original perspective on the scientific challenges of the coming decade, building on the achievements from the science community using ESO facilities.This 5-day workshop will focus on the main scientific topics where ESO has made important contributions, from Solar System astronomy to fundamental physics. Key speakers will be invited for overviews of each field (including some historical perspective) and then focusing on the present science status around these questions. The next science steps will also be emphasized. Some "bonus" tracks will be included, such as introducing the first ALMA results, the latest unpublished VLT/I and La Silla results, and an outlook for science with the E-ELT.